This is another French recipe I made this week. I begin to think that I am getting nostalgic for my country… These cookies are perfect to be served with chocolate mousse, ice cream or fruit salad. Personally, I like having something to dunk in that kind of dessert and the Langues de Chat are the perfect cookies for this! In a pan, melt the butter. In a bowl, mix the melted butter with the sugar, vanilla sugar and flour. In another bowl, whisk the egg whites. Once done, add them to the previous mixture and stir slowly. Put the dough in a pastry bag and make cookie about 5 cm long on a baking sheet. Bake them for 8-10 minutes at 200°C. 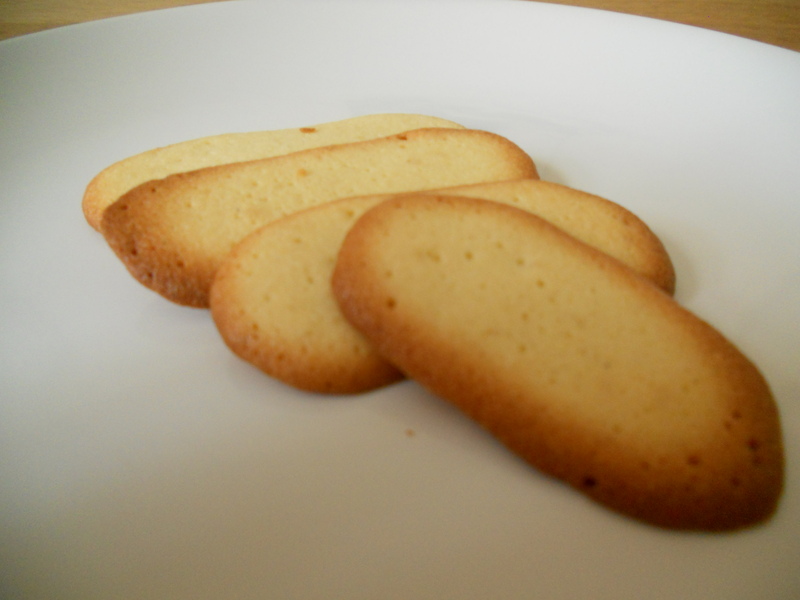 This entry was posted in Recipes and tagged cat's tongue, langues de chat by thebloodyfrog. Bookmark the permalink.